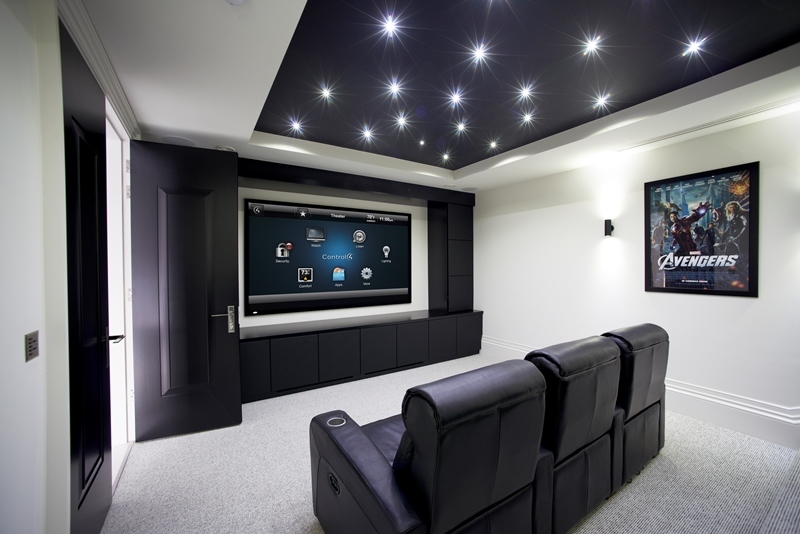 At Big George's Audio Video we offer Control4 smart home solutions that let you control and automate your lights, entertainment, security, climate and much more. 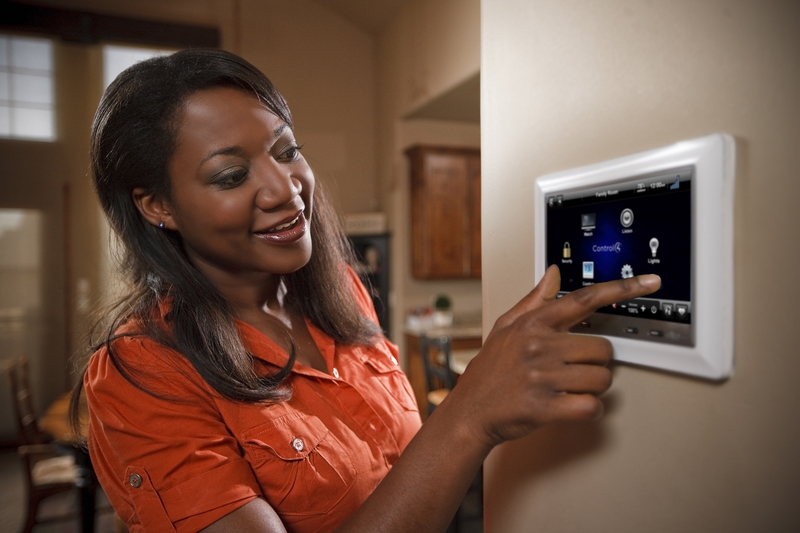 Call us today at 734-669-9600 to discuss how we can help give your home the smart it deserves. Whether you want a dedicated theater filled with the latest technologies such as 4k and 3D projection, 7.2-channel surround sound with chest-rattling bass or just a nice HDTV mounted in your living room, home automation elevates your movie viewing experience to an entirely different level. Control4 home automation allows you to integrate the products and services you already use into one seamless, awe-inspiring experience. You could simply press the "Watch" button on your Control4 remote and grab your snacks. 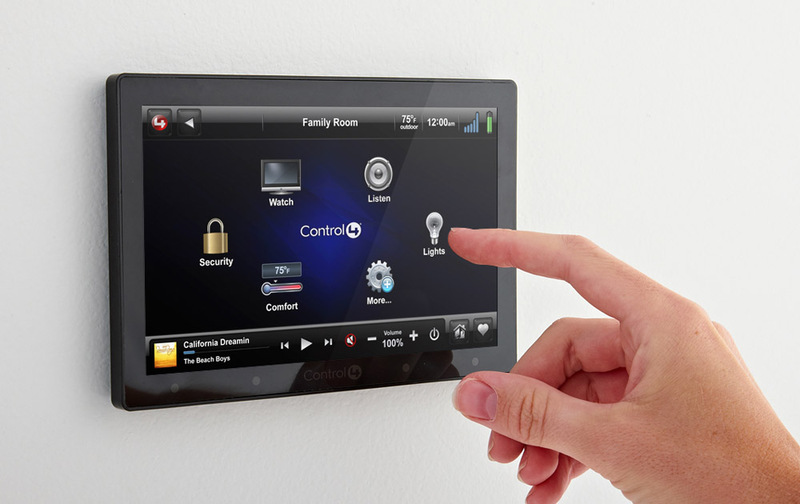 Your Control4 system can turn on all of your devices and set them to the correct inputs, automatically. It even has the ability to automatically dim the lights for you so you don’t have to get up to turn them off and stumble through a dark room on your way back to the couch. And if you start to feel a draft, you can adjust your thermostat right from the couch. When you need to make a quick trip to the snack bar or the bathroom, just press the pause button on your Control4 remote control and the lights can be programmed to automatically raise to 50% to provide a lighted pathway for you to travel safely. When your movie is interrupted by a knock at the door, you can pause the movie and see who is standing on your porch from your touch screen camera display, so you can decide whether you should get up to answer the door or stay seated comfortably. The seamless integration of a Control4 home automation system into your home theater will make you wonder how you’ve ever watched a movie without it. Home control is the convergence of technology and convenience, allowing the digital devices that you use every day—TVs, audio equipment, lights, security panels, thermostats, and so on—to work together. By allowing everything in the house to work together, with the ability to control it all from one easy-to-use interface—whether it's a touch screen, remote control, keypad, or even your smartphone—your home suddenly and "automagically" becomes more comfortable, convenient and secure. So what does this actually mean? Most often when your family sits down to enjoy a movie, it takes at least three or four remotes to actually get the movie playing. Then after the movie finally begins, you have to get up and turn off or dim the lights. 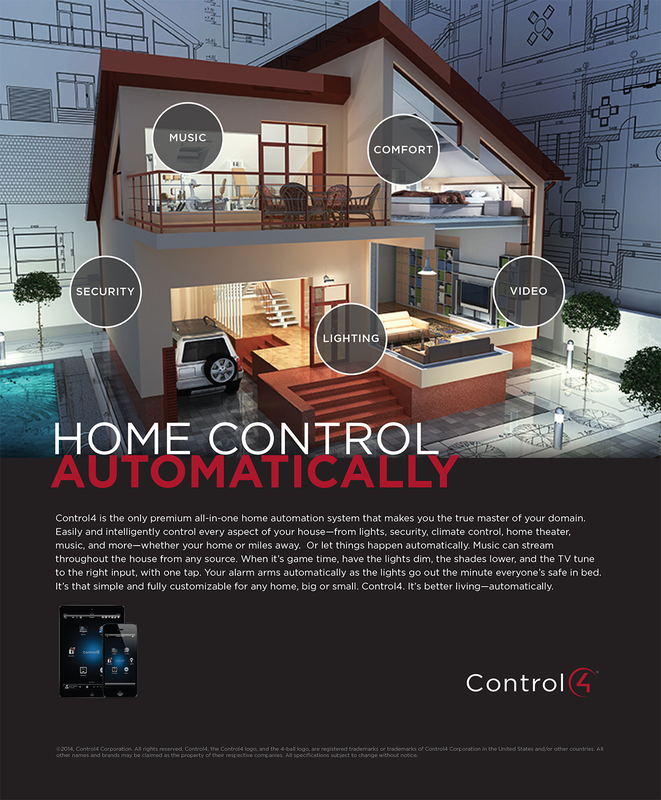 With Control4 home control, you only need one remote to do all of that. With a simple press of a button, all of the devices involved (TV or projector, Blu-ray player, media player, receiver) will all set themselves to the correct inputs and your lights will automatically dim to your desired level. What happens if you forget to close your garage? Not a problem with home automation. You can access all of the devices in your home—including that neglected garage door—no matter where you are. Simply log in to your smart home from a computer, smartphone or tablet and close the garage door instantly. Turn your smartphone, tablet or laptop into the ultimate remote for your Control4 system. Think of how home control can transform your house into a brilliant smart home. Our customers say once they embrace the automated life, there’s just no going back.